Standard King Poster Bed: H74.00" x L86.00" x D97.00"
California King Poster Bed: H74.00" x L86.00" x D101.00"
Bedside Chest: H33.25" x L36.00" x D19.50"
Dresser: H40.00" x L75.50" x D20.00"
Mirror with 2 Curios: H43.50" x L60.50" x D12.50"
Mirror for Bedside Chest: H57.00" x L33.00" x D1.75"
Gentleman's Chest: H64.00" x L50.00" x D24.00"
Bachelor's Chest: H20.00" x L46.00" x D33.00"
AICO by Michael Amini is a furniture innovation company specializing on one of the kind high quality furniture. 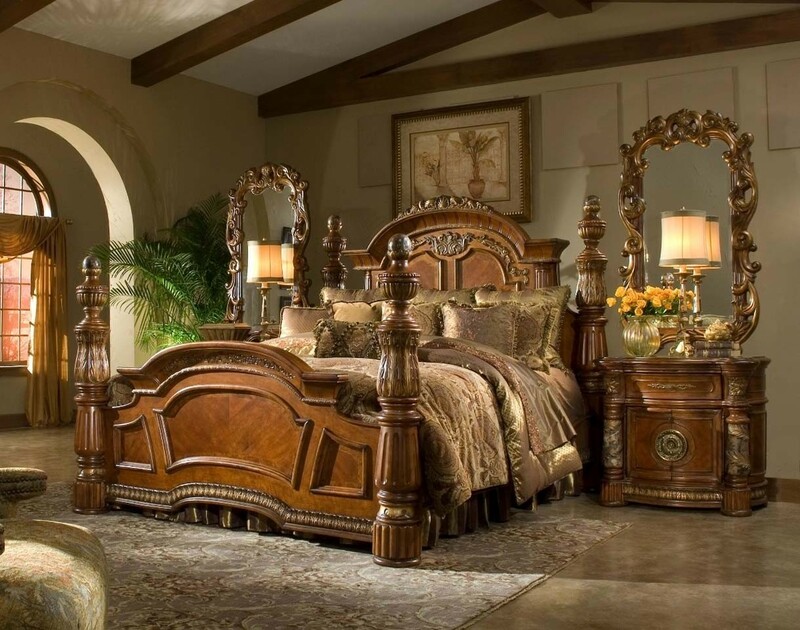 Villa Valencia Poster Bedroom Set comes in classic chestnut finish and features state of the art design and quality. 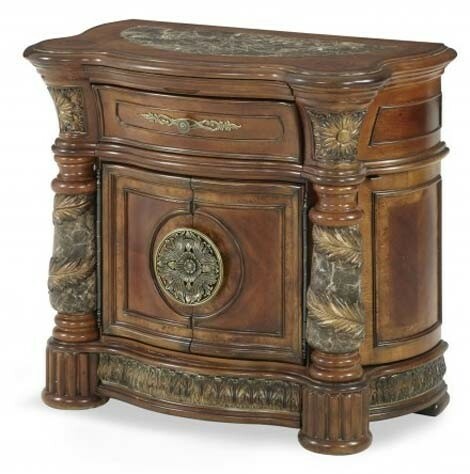 Made from solid birch its rich classic style includes carved wooden leaves and twisted marble pilasters. Antique hardware on large drawers with smooth railing mechanism. 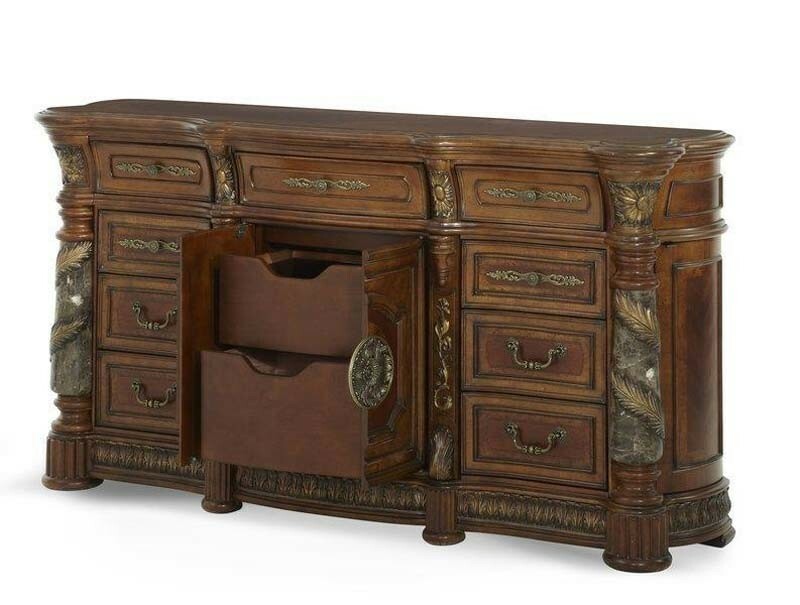 Nightstands are called bedside chests and can be purchased with or without mirrors on top. 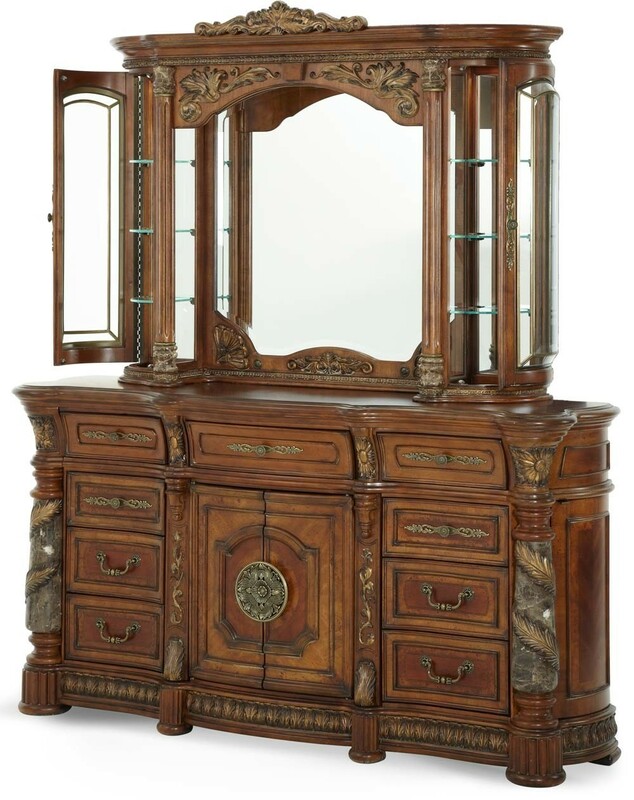 Gorgeous dresser has mirror with 2 glass curios on the sides completed by wood frame with leafs and posts with marble pieces. 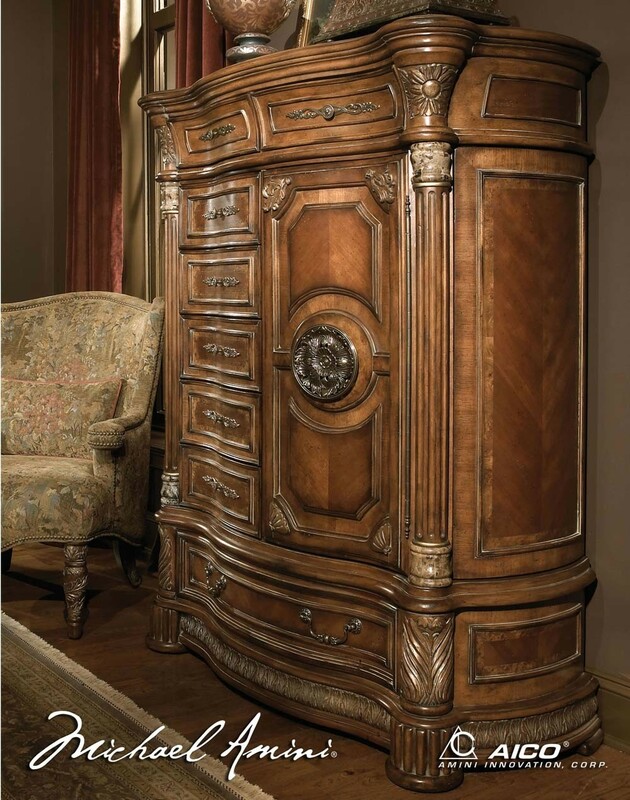 Luxurious bed features unique carved wood design and four roman era style posts with marble ball shape tops.